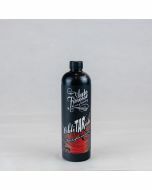 The Auto Finesse Glide clay bar lubricant has been designed to make clay barring your car much easier and efficient. 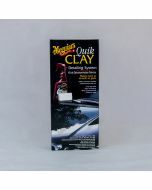 The Auto Finesse Glide clay bar lubricant has been designed to make clay barring your car much easier and efficient. 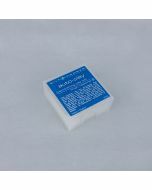 Its special blend of slip agents help to encapsulate debris released during the claying process, and allow the detailing clay bar to slide across the surface of the vehicle with ease. This greatly reduces the chance of marring. Glide comes in one of our trademark black bottles with a clear mini trigger. 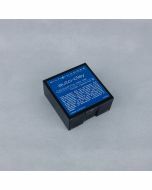 This allows you to keep Glide by your side when clay barring your car. Glide works hand in hand with our Fine Detailing Clay Bar. The combination of both products gives you a œsmooth as glass finish to your paint work, glass and wheels. Start by giving the bottle a good shake to integrate the ingredients, and rotate the spray nozzle until the arrow points to the conical-spray setting. Apply one full spray of Glide per 8-square inches (Approximately 20-square centimetres) of work area before claying, and periodically throughout the claying process to maintain a wet lubricant film. For best results, limit your claying to a small area at a time, onto a surface no larger than 12" by 12" (Approximately 30cm by 30cm) square. After completing each section, remove the Glide residue with a plush Microfiber Towel before continuing on. Do not use Auto-Finesse Glide if the vehicle is warm, in direct sunlight, or the ambient temperature is below 32-degrees Fahrenheit/0-degrees Celsius.